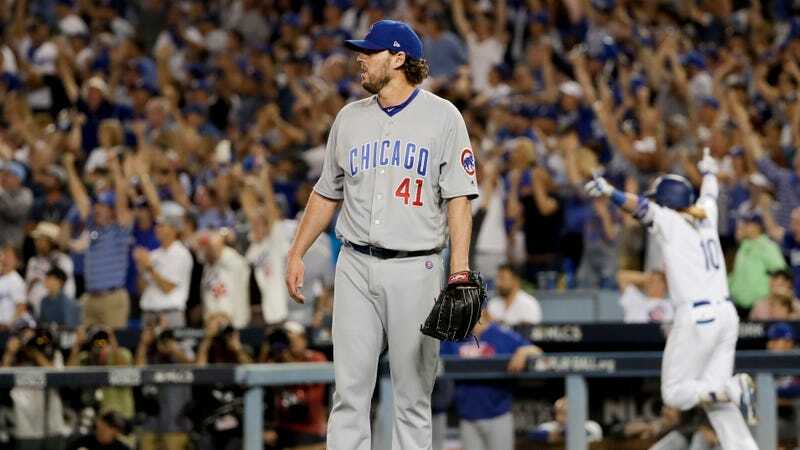 Before John Lackey gave up a walk-off three-run homer to Justin Turner in Game 2 of the NLCS, he treated viewers of the game to a special version of baseball hell. Lackey stepped off the mound five times during the at-bat, and things got really ridiculous when the count hit 3-2. From that point, it took Lackey a whole two minutes and 12 seconds to throw his next pitch. There were no pick-off attempts included in this sequence; Lackey just kept stepping off the mound and refusing to throw a damn pitch, and it was maddening. I imagine a lot of exhausted baseball fans were glad to see Turner end the game the way he did.